The clocks have gone forward, the sun peeps out every now and then and there are tulips and daffodils everywhere. It is most definitely time for the spring/ early summer spring clean. The most time consuming section of the house is always the children's bedrooms however these handy hints should help keep you on track. Children seem to have so much "stuff". Once they start nursery and school there is artwork and junk models, and of course nine times out of then they have boxes and bags full of toys to wade through. Decluttering is by far the best way to start the big spring clean process. The time comes when children outgrown certain toys and games. At this point you have the option to store them for if you plan to have more children, gift them to someone else, bin them or make good use of them. If parts are missing, they are shabby or they don't work the bin or recycling box is the best option. If they are complete but simply aren't suitable for your children anymore you could sell them (NCT sales and local Facebook buy / sell group as well as Ebay are great for getting rid of unwanted toys) or you could gift them to a local charity. Be ruthless, keeping special keepsakes yet working hard to cut the clutter while you're motivated! If you find your children have far too many toys, books and games in their rooms take some of them away and store them safely. Every so often bring out these forgotten toys (which will be fallen on in delight by children who see them as "new") and choose more to put away. 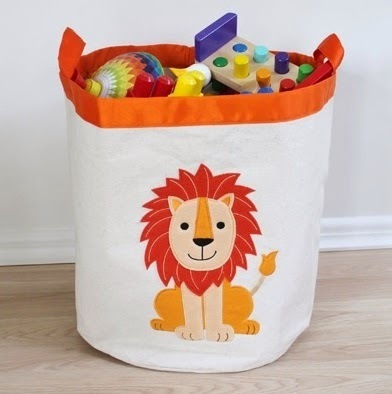 This reduces the clutter in a room and offers a great opportunity for fun during a wet weekend! Nothing spruces up a room quite like new bedding. Many choose bedding to suit an existing theme or as part of a new one and we have plenty for you to choose from. Sprucing up a room doesn't necessarily mean having to re-paint or put up new wall paper. There is actually a much easier and considerably cheaper approach; wall stickers. Removable and reusable wall stickers for children offer an exciting way to add colour and interest to a room with ease. Children are much more likely to keep their rooms and tidy and more so to enjoy the time they spend in there if they truly feel the room is theirs and that they have responsibility for it. When it comes to choosing wall stickers, new bedding, decluttering items and more let the kids help. Once you've had a good clean and decluttered it is time to look at your storage and organisation options. Choose storage that will adapt to your children's needs so choose storage solutions that may store a variety of different things yet won't look out of place with the theme you've created in the room. Visit the website to see the number of storage and organisation pieces we have on offer, all of which focus on the practical as well as the fun factor. The amount of artwork and clever sculptures that come home from childminders, nursery and school is staggering. Parting with them is hard however unless you have an extra room or three to store them it sometimes pays to be ruthless. A great tip to avoid tears when recycling art is to let your child take a photograph of it so that it may be saved forever (and make room for the next fab piece they create). Why not choose a few really nice pieces of art and/or print off some of the children's photographs of their models and frame them, adding the personalised touch to the room? Having a big clean and sort out, although tiring is actually a great way to greet a new season (as well as to find the carpet in a child's bedroom once more). Good luck!